Ah Mr Juncker. Surely you jest. Isn’t it kind of ironic that you urge the governments of member states to refrain from holding referendums surrounding EU membership. Shouldn’t the answer be crystal clear? – why would member states propose referendums if your stewardship of the EU has led to Utopia? Could it be that your constant threats to the voters of these member states answer your own concerns? If indeed membership to the EU is of such high value, why did the Swiss hand back a long standing free pass to join earlier this year? Why have the Brits voted Brexit? Why did the Hungarians vote 98% against your asylum seeker proposals? 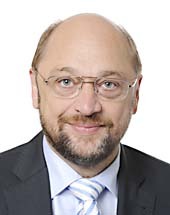 Why did your good friend Martin Schulz resign last week? Is it they all see the inevitable end of the EU? On Dec 4 you have two big events – the Italian referendum. Either outcome doesn’t help the EU. A rejection of constitutional reform (as proposed by the referendum) has little to do with the EU. However, when Renzi staked his career by threatening to quit if a ‘No’ was carried won’t automatically lead to a snap election. However the market might interpret the euro-skeptic 5-star Movement’s rising popularity as a potential winner when that general election comes around. A “Yes” outcome will buy time in the short term for the EU but I wouldn’t be using such an outcome to become complacent again – actually a more concerning risk for the EU to think it validates their vision. On the same day, the Austrian presidential re-run which looks like right wing FPO candidate Norbert Hofer should win given the fraudulent voting the last time in May will throw the light back on your earlier threats to ignore the outcome and punish Austria for exercising democracy. It seems your comments to politely request that Mr Hofer goes easy on him. Then we have the French presidential elections next year. Once again, to keep Marine Le Pen out the conservatives have to shift to the right and she will take a more balanced stance (to a point). The question is will the French want Diet-Coke Fillon or Classic Coke Le Pen. While the French may see her as an unpalatable choice to a degree perhaps after Hebdo, a beheaded priest, truck driving lunatics in Nice, terrorists in Paris and numerous other murderous events perhaps the French will try what they haven’t done before because like the French rugby team they blow hot or cold – there is rarely middle ground. Well, well, well. Isn’t interesting to see a President-elect make solid progress with US corporations before he has even got his feet under the desk. For all the negative press, Trump is at the very least sending strong messages to these corporations to look after the home team or face consequences. For major multinationals like Ford and Carrier (part of United Technologies) to quickly about face on their expansion plans shows he is no light weight unlike his soon to be predecessor. As I have argued for a long time, the quality of jobs in the US has been declining dramatically over the last 8 years. The ratio of full time jobs has continued to slide. The number of people with two or more jobs has never been higher. The election result by and large wasn’t about racist #whitelash but people fearing for future job security. We can argue that Obama drove the unemployment rate down, but multiple jobs also skew the true figure. We should ask ourselves where President Obama was in tying to cut red tape for corporates? Listen to the National Federation of Independent Business (NFIB) and 80% of respondents to the largest body for small businesses (which are 50% of total employment) said Obamacare and unnecessary regulations were the biggest inhibitors of growth. As a small business myself, I can assure you small businesses are self-regulating. We can’t afford frivilous activity. The haters can complain all they want about the repercussions of burning flags but when it comes down to encouraging corporates to tow the new ‘hard’ line they should be at the very least issuing congratulation not censure. One of the key reasons Trump won was down to promising to keep jobs at home. Of course the wider implications confirm the idea that globalization is firmly off the agenda. As an interesting aside, I attended a conference yesterday where a member of the BoJ presented the idea that the slowdown in global trade was also in part because of a large shift by Chinese companies producing more intermediate products at home, shown by the larger impact on SE Asian countries trade stats. So before many spit venom at Trump’s plans to twist the arms of corporates to prevent exporting jobs, note China is actively pursuing the same policy. Of course Japan repatriated a lot of production when the yen weakened. Of course US companies will have to look at ways to improve productivity. Perhaps more than keeping jobs at home, I am most interested in seeing the rapid turnaround in ‘consumer confidence’ and other leading indicators which should give a better idea as to how sentiment is shifting on the back of a coming Trump Administration. More than Carrier, Ford, currency, I am guessing that these indicators will overshoot to the upside, surprising a market that is still giving Trump zero credit. As I have always said about Trump – the market offers little promise about him – which means that any positive surprised will have a much larger than normal positive impact. 3 yrs probation for a rock-star taking meth but 2 yrs jail for an retiree stealing a sandwich. Aska, half of the famous Japanese rock duo Chage & Aska, has been charged with 3 years probation after being caught taking meth for the second time. Aska escaped a longer sentence. I wrote a three part series on crime in Japan earlier this year – broken down into Geriatric Jailbirds, the breakdown of the Nuclear Family and Fraud, Murder, Yakuza, Drugs and the Police. Drugs in Japan are an interesting topic. Meth was originally synthesized from ephedrine in 1893 by a Japanese chemist Dr. Nagayoshi Nagai. 26 years later, a pharmacologist by the name of Akira Ogata managed to turn it into crystalline form i.e. crystal meth. When World War II got under way Japanese soldiers (especially kamikaze pilots) were given crystal meth (branded Hiropon) which not only kept them ‘wired’ but reduced hunger. As the war ended, Japan was left with excess supplies of Hiropon. Food supplies were few and returning soldiers added to the shortage. However little was known of the side effects and the government had an epidemic on its hands in the late 1940s. Dainippon Pharmaceuticals was already an industrial manufacturer of the drug and little was known about the side effects. By 1946, the psychotic effects were becoming widespread and realising an epidemic was on its hands the government banned it in powder and tablet form in 1948 before banning it outright in 1951.Production of the drug merely moved abroad and over 17,000 were arrested in the first year of the new law. Arrest numbers continued to rise and the MoJ raised the penalty in 1954. By 1955 55,000 had been arrested for meth related offenses. Many celebrities in Japan are let off for first offences for drug possession/use. However theft is generally viewed as a larger crime than drugs in Japan. Over a third of petty theft is now committed by those 65 and over. Retirees are looking at ways to break into prison. The elderly population currently stands at 26.7% of the 127mn total. By 2060 the elderly will comprise over 40% (some 37.7mn). Such has been the overpopulation in prisons, the government has had to increase capacity by 50% in the last decade and boost the incidence of early release and parole to create space for what one can only guess is a way of developing state sponsored retirement villages. Female prisons are already full but the MoJ wants to increase the number of female prison guards to prepare for the anticipated increase in elderly crime. Senior prisoners (65yo+) at 2014 end count shows a 140% increase over 1997 levels. For those 70 and above the rate is a more alarming 514%. According to the Ministry of Justice, as of April 1, 2014, there were 77 main penal institutions (62 prisons that include four rehabilitation program centres, seven juvenile prisons, and eight detention houses) and 111 branch penal institutions (eight branch prisons and 103 branch detention houses). Japan has budgeted approximately ¥232 billion to run its jails in 2016. The cost of incarceration for the elderly runs to around ¥4.2mn which is much more than could be got through the welfare system (¥780k). The theft of a ¥200 sandwich could lead to a ¥8.4mn tax bill to provide for a 2 year sentence. Re-incarceration rates inside of 6 years of release are 37% higher as of 2008 vs 1999. If the MoJ wishes to keep a 3.6 prisoners per guard ratio and fills its 91,000 capacity then 25,000 prison guards will be required, an extra 7,500 (+47%) which does not take into account retirements, resignations and the ability to hire new recruits who must pass exams. These extra guards will cost ¥17.25bn. The Japan National Police agency ( JNPA) has been the victim of budget cutbacks. Some 80% of the ¥3.2 trillion budget is spoken for by staff salaries. There are approximately 295,000 staff (including administration) but actual officer numbers have remained relatively stagnant at around 258,000 although has grown from around 220,000 back in the 1990s. Clearly budget cuts coupled with staff increases impacts on the budget for procurement for better surveillance and crime prevention equipment. If that is the product they are promoting why then did the CEO go out of his way to send customers and staff an ultimatum (note the link is ‘mysteriously’ down) to have them declare political allegiance. While there is often a legal requirement to know your customer (KYC) but I’ll be damned if political allegiance/affiliation is one of them. His threat was that Trump supporters or registered Republicans (clients or staff) will have their service terminated or be asked to leave. America has elected Donald Trump, a racist, sexist, fascist, to be our next president. 1st In SEO will no longer do business with any person that is a registered Republican or supports Donald Trump. 1st In SEO will also not do business with business interests that support either the Republican Party or Donald Trump. 1st In SEO obviously has no actual means of determining our clients’ or prospective clients’ political standing. We will rely on the integrity of the men and women who are our clients currently to find another Search Engine Optimization provider if they are Republicans, voted for Donald Trump or support Donald Trump. If you are a Republican, voted for Donald Trump or support Donald Trump, in any manner, you are not welcome at 1st In SEO and we ask you to leave our firm. We ask you, our current clients, to please respond to this letter and confirm where you stand politically. If you are a Republican or support Trump, we will no longer serve you. You will need to find a new SEO provider. 1st In SEO will, of course, provide your website with the same high quality service you have enjoyed until you are able to find a new provider. We will go above and beyond the call of duty to ensure a smooth transition to a new firm and we will always be available for support should your new provider need our assistance. To our Democrat and Progressive clients, we want to recommit to you that we will continue to work diligently to improve your internet marketing results in this quickly changing world. Now as a CEO (presumably if Blanchfield is a sole owner) I have no qualms with him wanting to blow his own company up by taking such hypocritical action to accuse clients of exactly the same crimes he charges certain employees and clients who acted democratically of doing. Yet looking at the Department of Labor’s website surrounding work place harassment we find the following. -First, unlawful harassing conduct must be unwelcome and based on the victim’s protected status. -objectively severe and pervasive enough to create a work environment that a reasonable person would find hostile or abusive. -whether the conduct unreasonably interfered with work performance; the effect on the employee’s psychological well-being; and whether the harasser was a superior within the organization. Now as a customer (regardless of his or my political persuasion) I would cancel my contract immediately. Secondly if I was an employee (who was a registered Republican – regardless of whether I voted Trump or not) it is fair to assume that my opportunities for promotion if I chose not to leave would be unfairly inhibited. The CEO has explicitly drawn a line in the sand wishing to favour political ideology over actual employee ability. On any grounds that looks discriminatory. Is it any wonder that the letter has been pulled from the website? Lucky the company is not listed. Grubhub’s CEO tried similar antics around election time asking Republican/Trump supporters to leave the company and the shares were smashed. Once again, consumers want to use products not have politics thrown in the mix. I can only imagine that 1st in SEO becomes a distant wooden spoon over time with a CEO who exhibits outward intolerance, exactly the things he criticizes certain customers and employees of. If the company has other investors/owners I would call for Mr Blanchfield’s immediate resignation or at the very least firing him because he clearly doesn’t exhibit the traits of a CEO who has the best interests of stakeholders, shareholders and staff alike. What a joke. Perhaps he should read the ‘Reputation Management’ page again and apply those principles to himself. Dallas bankruptcy looms. What would JR Ewing would give to have Jeannie? Who would have thought that the home of JR Ewing could be facing bankruptcy? The rate of outflows from the Dallas Police and Fire Department pension fund is so high the fund needs a billion dollars in funding this year alone, equal to the entire city budget, just to keep up. Dallas’s mayor, Michael S. Rawlings, testified this month to a state oversight board that his city appeared to be “walking into the fan blades” of municipal bankruptcy. JR must be praying to shape shift into the set of “I dream of Jeannie” to right this mess. Now it seems that The Dallas Police and Fire Pension (DFPF) System, once applauded for a diverse investment portfolio finds itself needing to dig out of a deep hole. A $1.2 billion change last year in the difference between the value of its assets and what the pension owes retirees left the $2.6 billion fund with just 45 percent of the assets needed, down from 64 percent at the end of 2014. The pension, which was 90 percent funded a decade ago, could be out of cash in 15 years at the current rate of projected expenditures. The pension’s former real estate investment manager, CDK Realty Advisors, was raided by the FBI in April 2016 and the fund was subsequently forced to mark down their entire real estate book by 32%. The fraud at the DPFP left the fund over $3bn underfunded and its board of directors with no other option but to seek a $600mn infusion from taxpayers to keep the fund afloat. While this is partially crumbling because of fraud, there are many other pension funds which are way underfunded. In the public sector alone in America, pension funds are unfunded to the tune of $9 TRILLION. In the current investment environment, no amount of tricky actuarial accounting can wriggle out of this. This will be a recurring nightmare for Main Street. Something that should make even Freddie Krueger cling onto his mother. We’ve already had some previews from the 2008 financial collapse. Small scale maybe but the lessons are real and this time round the effects are likely to be far larger and quantum levels more painful. I wrote in August that the State of California’s pension fund (CalPERS) has unfunded pension liabilities of $412bn, or 3x the annual tax collection for the entire state. Rewind to 2008. The municipality of Vallejo, California filed for bankruptcy. It wasn’t just the evil banksters that caused financial markets to collapse that made tax revenues shrivel. Sadly the city of Vallejo was living high off the hog. Bloated pensions and fat cat salaries for public servants ruled by stubborn unions created a scenario where it couldn’t bail water fast enough when the crash hit. The city was forced to fire 40% of its 260 police officers and told its residents to be judicious with calling 911. Crime rates unsurprisingly jumped above the state average. Vallejo didn’t sort its pension obligations to CalPERS during its bankruptcy negotiations which ended up becoming its largest budget hole by a considerable margin. Even in 2011 when the city came out of bankruptcy the pension time bomb ticked away. Moreover the declaration of bankruptcy prevented access to bond financing making budget gap filling even more complicated. Scroll to 2016, the anaemic (and slowing) economic growth around the world is putting stress on pension funds ability to payout retirees and fund future pensions. Pensions funds set “return targets” which actuaries set to ensure the fund stays solvent. However pension funds need to be diversified with a mixture of cash, bonds and equities. With equities reaching more outlandish valuations and bonds moving further into negative yield territory (capital appreciating at least) pension fund returns are undershooting. When pension funds undershoot then the unfunded liabilities keep growing. As more baby boomers retire the more outflows are required putting more pressure on the unfunded portions. Vallejo was small fry but the risk of more cities declaring bankruptcy in coming years is something that isn’t even on investor, national government or central bank radar screens. We’re fed more of the same tripe that all is ok and they’re in control. San Bernadino, California also filed for bankruptcy after GFC carrying $140mn in unfunded pension liabilities including $50mn in debt it had raised to fill the pension hole. Yes! It was borrowing money to plug a pension hole. Sort of like buying groceries on the credit card you can’t pay off. San Jose spends 20% of its $1bn budget on healthcare and pensions given the generous offer following 30 years service in police or firefighting. They net 90% of final salary every year to see out their retirement. Those sweet deals are now being contested in court giving people the option of the same deal with much higher contributions or accept a higher retirement age with a lower payment. Take Detroit, Michigan. It declared bankruptcy around this time three years ago. It’s pension and healthcare obligations total north of US$10bn or 4x its annual budget. Accumulated deficits are 7x larger than collections. Dr. Wayne Winegarden of George Mason University wrote that in 2011 half of those occupying the city’s 305,000 properties didn’t pay tax. Almost 80,000 were unoccupied meaning no revenue in the door. Over the three years post the GFC Detroit’s population plunged from 1.8mn to 700,000 putting even more pressure on the shrinking tax base. What we are likely to experience is more city and potentially state bankruptcies this time round. With over-inflated assets which aren’t producing returns and cash rates effectively zero or negative in the US, EU and Japan portfolio diversification gets more complicated pushing real returns lower and unfunded liabilities higher. There is no easy out. Printing more money will not help fill the hole. Even if it managed to keep nominal payments broadly unchanged the buying power would be severely diminished. What we can say is serious problems are being stored up and likely to arrive at the least opportune moment where realities will have to be faced and the blame game taken to new levels. It is truly a frightening prospect that once again Main Street will be left to carry the can! As I have said repeatedly. Whoever wins the US presidency would be lobbed a hand grenade without a pin. Testing times ahead.